Chopped roasted whole almonds, walnuts and hazelnuts with a generous dose of our housemade salted caramel. 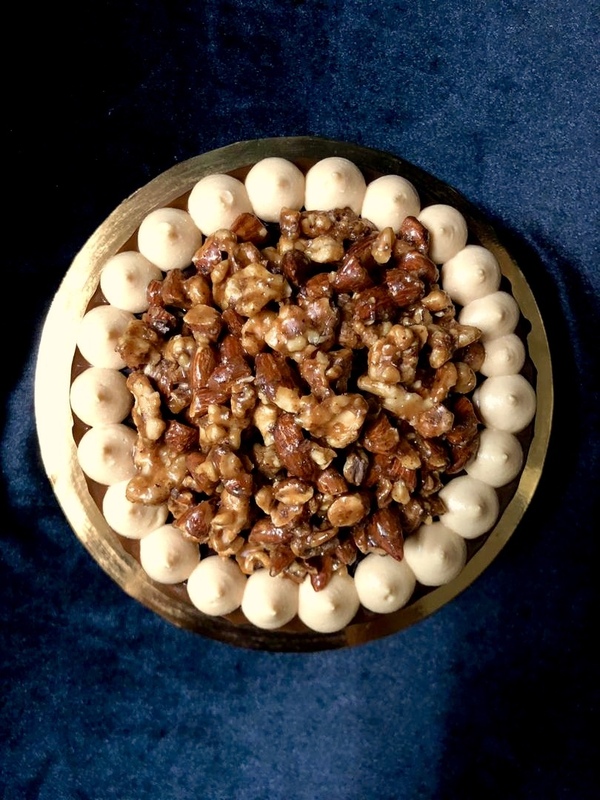 Perfect cake topping for those who love nuts and want some nuttines on their cake. Price indicated is for the Salted Caramel Nuts only and excludes the cake.